Let FunkyCam make your special day truly unforgettable! Our unique Photo-Booth promises to WOW your guests as soon as we arrive at your venue. Party tunes play inside the booth as your guests dress up with our box of crazy props, which can be personalised to suit your wedding. All photographs are printed on the day, ensuring your guests leave with a timeless memory of your big day in the form of a 6×4 photo & Key-Ring! But why stop there? 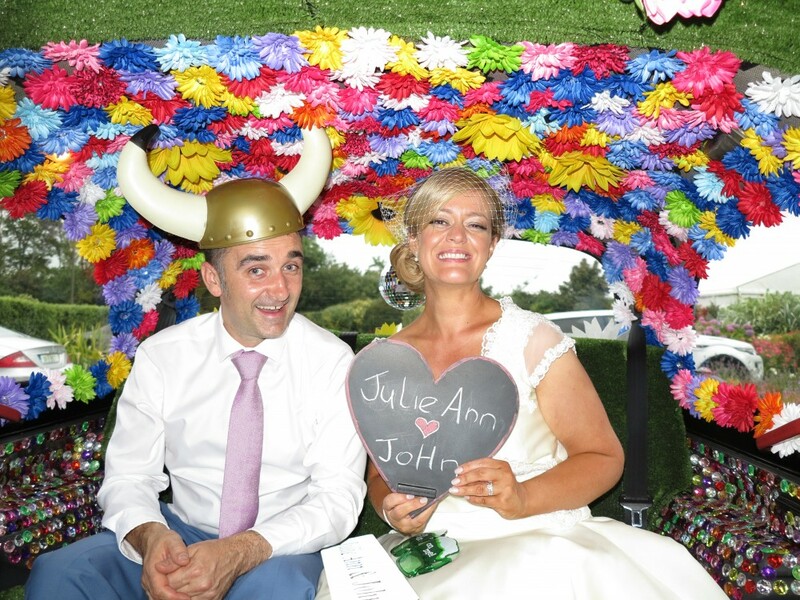 FunkyCam can create a fun, alternative guestbook containing all the photographs from the day. Your personalised guestbook is then signed by your guests, alongside their photograph – the perfect keepsake to your day! When your wedding day is over, and you’re settling into married life – why not let FunkyCam look after your wedding favors? FunkyCam can make quirky key-rings containing all the photo’s of your day. On the reverse, a personalised message to your guests – thanking them for sharing your beautiful wedding day. Or perhaps some personalised “Thank You” cards to send to your guests? FunkyCam would love to obilge!